3 Day 3 Quote: Day 1 – I'm Here; Right Here. You’d have known it by now as I mostly end my blog posts with a quote. When I saw this award doing the talking, I used to ponder when was I going to be nominated. But, then was a time I was busy with my exams. So, I did not appear much on wordpress. Then came a day when I received a comment upon my post of this award nomination by a very dear and sincere blogger mate(Yes, I said that. No, I don’t drink. Even coffee is on pause these days.) IshmaImroz.Thank you so much. And I’m really very sorry for a delayed response. It’s been swinging to an essence of forever. Oh, you even forgot you nominated me. Right? Haii na? Anyway. You’ve been really kind to me from the first day. I will remember this for the rest of my life. Well, she is like an elder brother, a younger sister, a brighter poet, a great reminder, to me. Always helping me be better than her. Yes. She is an amazing poet. Every time I read her poem I feel like I’m reading my work. Ahha. Okay, this was the last one. Honestly, she has got skills, rhymes, sense of sensibility, and she is awesome. Trust me. Don’t believe me. Know it yourself. Check out her blog here. Click upon her name above. Actually. I am short of words to depict how good she actually is. Now come back. And focus upon me. Reason: In just a few sum of words these can strike deep for an eternal and ethereal being. Firstly, I decided to write my quotes herein. But, then I decided upon starting from the start. ★3. This one is very special amd close to my heart. 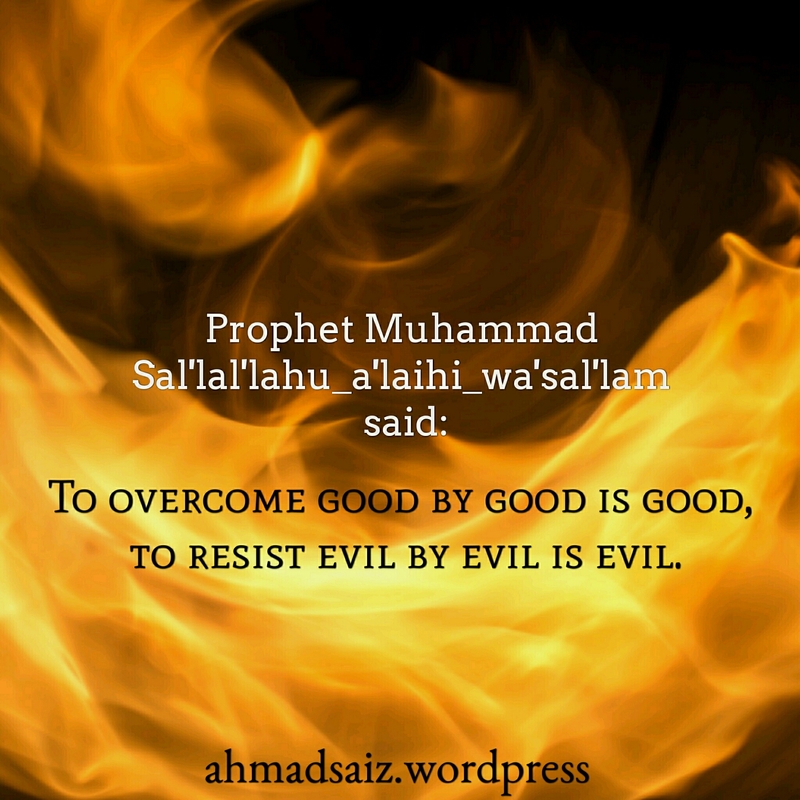 It reminds me of being steadfast upon Deen(Islam). Hope you liked these as much as I do. PS(There are a lot of my blogger mates I would genuinely want to nominate, especially those whose presence is felt at my blog. But, as the count is limited, I’ll go by the rules. I hope you accept my nomination and answer back any sooner. You’ll still be awesome anyways. Trust me. Pingback: Part 2-3 Days 3 Quote- Day 1 – I'm Here;Right Here. 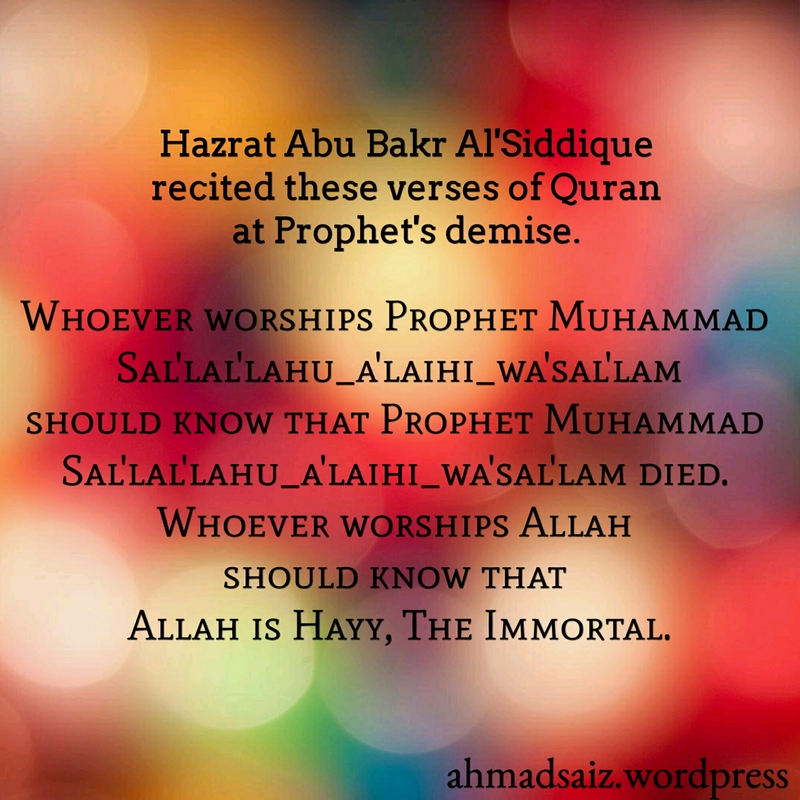 Jazak Allah…these are beautiful reminders certainly. Oh. Hello. I already have my own glasses. That was really sweet of you to say that sis. But, no you’re not a loser. Let’s be in different competitions then. Pingback: 3 Day 3 Quote: Day 2 – I'm Here; Right Here. 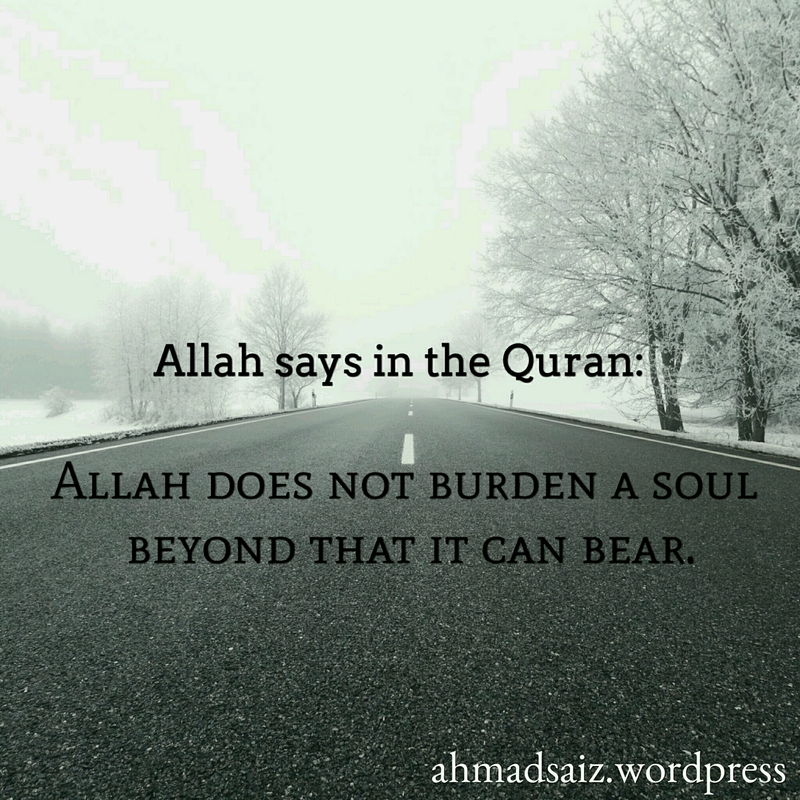 Oh and that verse from Surat ul Baqarah about how Allah doesn’t burden a soul more than it can bear is actually only half the meaning. That’s the easier meaning. It also at the same time means that Allah will not ask of you more than you can potentially accomplish. Which means that we have abilities and talents that Allah has given to us and if we don’t use those talents for good, we will be asked about it on Qiyaamah. He won’t ask us for more than we have the potential for, but He WILL ask us about the things we could’ve accomplished and yet we let our power and talents go to waste. For example: If you’ve got a way with words and you know how to engage people in a specific kind of conversation, you should use it to your advantage and talk to the person about something that will help him or guide him. Some people are naturally compassionate and Saabir. Those are the qualities of a Da’ee. And if they let their abilities got to waste, they will be asked about it. I just thought I’d elaborate since this verse is very commonly translated as only half it’s meaning, and it deserves more justice. Very beautifully explained. I hope you do this to every single time I post such verses. What I wrote is what’s the translation. Translations are usually never enough see? They give only half the meaning. Loved the quotes. SubhanAllah, they speak a sea of knowledge if one pays attention. Thanks for sharing them. I don’t think there are any other quotes that can stand in front of these. Most beautiful! Waiting for DAY 2 and 3! And I had already noticed that your “:roll:” has become “:3”.